There are still a few more sessions from this year’s ADS-ADEA conference that I hope to cover over the next couple of weeks, as time and brain capacity allows. 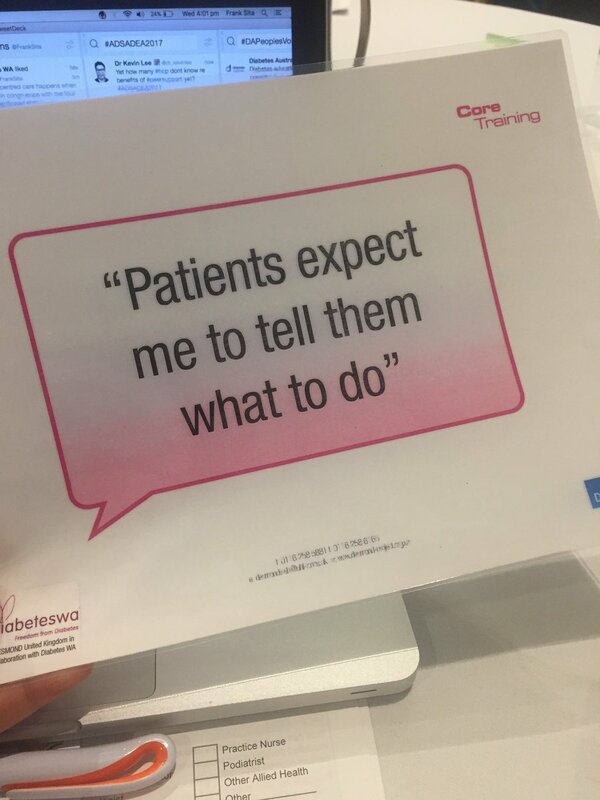 One of the buzz words at this year’s conference was the concept of ‘patient centred care.’ As a consumer, it felt extremely frustrating to sit in on several sessions hearing all the talk about it, while knowing that in reality it’s not always being delivered. 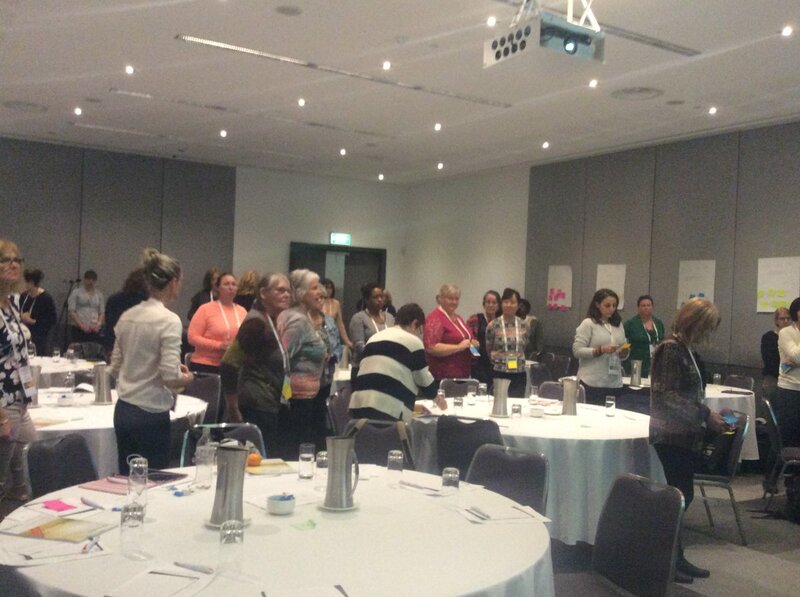 On the first afternoon of the conference, I ducked into a workshop chaired by Diabetes WA about putting person centred care into practice. In attendance were mostly diabetes educators and other healthcare professionals. Melinda of Twice Diabetes was also sitting in on the session with me, and she has shared some of her thoughts on patient centred care here. Professor Timothy Skinner took to the stage to tell us that there was no ‘one’ or ‘right’ definition of patient centred care. He gave us four statements for attendees in the room to consider. Professor Skinner noted that person centred care occurs when healthcare professionals act in congruence with these four statements. I still don’t quite know how I feel about these. In one way, I agree that the person with diabetes should be the ultimate driver of their diabetes decision making. Or, that this should be the ultimate goal. Yet if these are assumptions that healthcare professionals are making in light of an undesirable outcome, then they certainly seem to imply blame on the patient. Our table then had to discuss this prompt. I really thought that this statement reinforced one of the sentiments that I continually echoed throughout my time at the conference. I don’t represent all people with diabetes out there. Melinda and I were likely among the more ‘switched on’ and ‘connected’ consumers. While I might head into a clinic appointment with a list of notes and knowing exactly what I want to ask, this may not be the case for every other person out there. I had a very frustrating economics teacher in High School who used to answer questions with questions. But in this instance, this is exactly the approach I would be giving to patients expecting to be told what to do. Healthcare professionals need to start empowering consumers to make their own decisions. Healthcare professionals should be arming consumers with information and resources that will assist them in making their own, informed decisions. My attention waned towards the end of the session, and I think it was simply because I don’t believe the answer to providing patient centred care should be so complex. Patient centred care is simply delivering what the consumer wants, rather than what the healthcare professional wants. If the consumer doesn’t know the answer to this question, then healthcare professionals need to be supporting the consumer to find out what it is that they want. 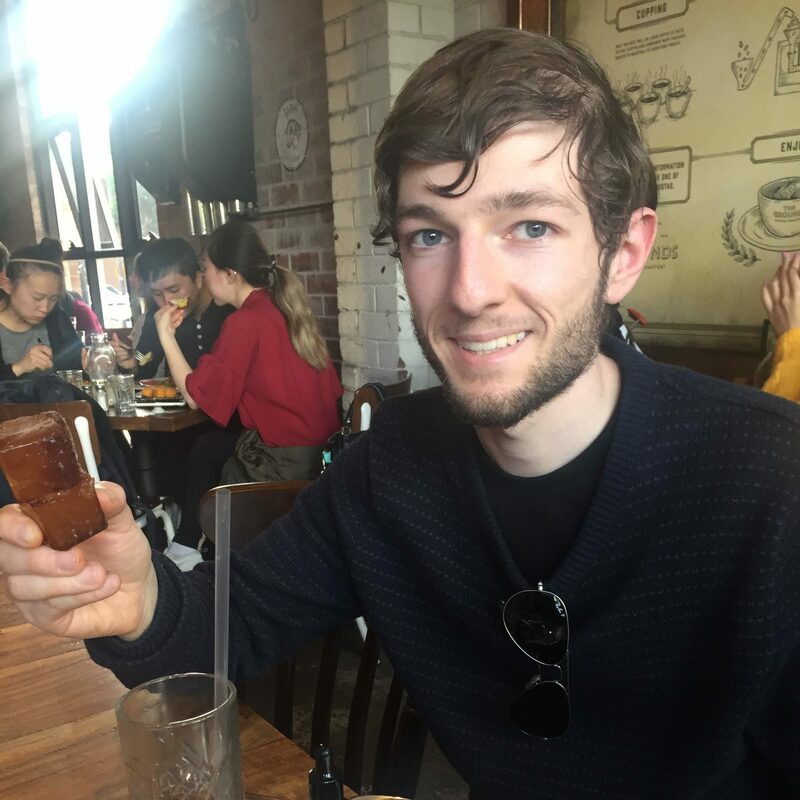 Disclosures: Diabetes Australia provided me with a media pass to attend the ADS-ADEA 2017 conference, with the view that I was interested in attending and delivering my own honest insights to the wider diabetes community.